After seeing their 14-game winning streak come to an end on Thursday night, the 22nd ranked Green Bay Phoenix women got right back on the horse and started a new streak, rolling past Detroit 58-36 in Horizon League play at the Kress Center on Saturday. 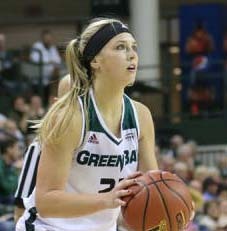 Sophomore Jessica Lindstrom poured in a career high 19 points and pulled down 13 rebounds and hit eight-of-nine from the field to lead Green Bay. Green Bay got a season high 22-points from junior forward Mehryn Kraker to lead the Phoenix to a 66-62 win over Belmont at the Kress Center on Tuesday night. The Phoenix (9-2) trailed 50-46 heading into the fourth quarter, but once again pulled out a come-from-behind win. Green Bay outscored Belmont 20-12 in the final ten minutes. 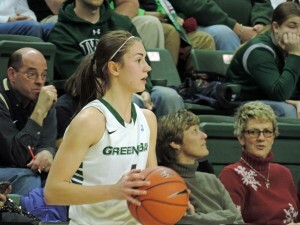 Kraker scored ten of her 22 points in the fourth quarter. The ninth-seeded Green Bay Phoenix women gave undefeated and eighth-seeded Princeton all it could handle in Saturday’s NCAA Women’s Tournament opener; however, the Tigers prevailed 80-70 in College Park, Maryland. Green Bay seemingly had an answer for every Princeton run, but could not stop the Ivy League champions on the inside. The Tigers owned a 49-22 edge on the boards, including 17 offensive rebounds. It added up to 19-4 advantage on points in the paint. 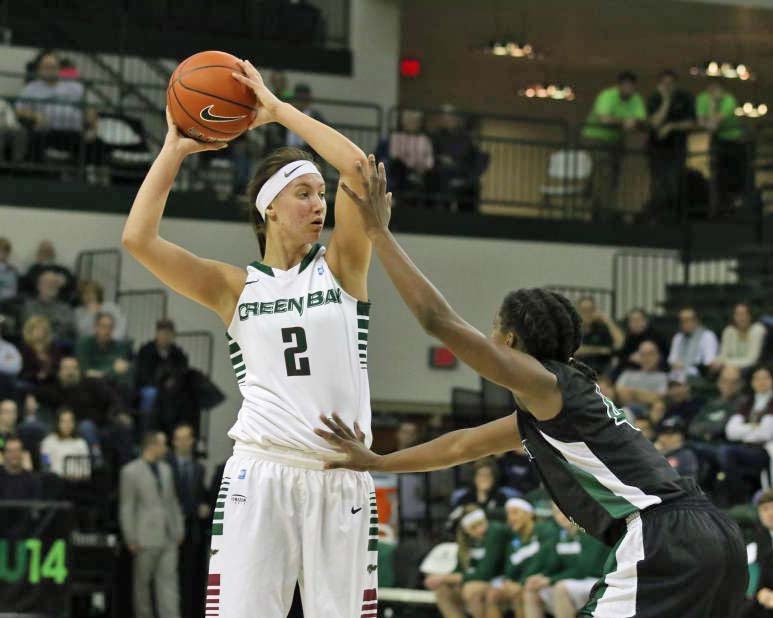 Tesha Buck scored 24 points and freshman Allie LeClaire added 17 as the Green Bay Phoenix women knocked off Wright State 86-77 in overtime, laying claim to the Horizon League Tournament championship. Green Bay (28-4) improved to 13-4 all time in Horizon League Championship games. They avenged a loss to the Raiders in last years Tournament Championship game. 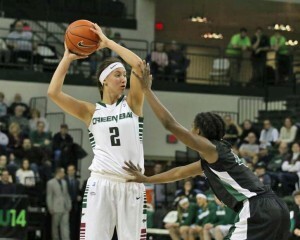 Junior guard Kaili Lukan poured in 24 points on Wednesday night to lead the Green Bay Phoenix to a 74-62 win over the rival Milwaukee Panthers in the Horizon League Tournament quarterfinals at the Kress Center. Lukan hit 7 of 11 from the field and 10 of 12 from the free throw line. She also added three steals that turned into baskets to help the Phoenix win their 9th straight game and improve to 26-4 on the season. Mehryn Kraker added 14 points and 11 rebounds for Green Bay. The win for Green Bay means they’re hosting Friday’s Horizon League Semifinals. Cleveland State will battle Wright State in the opener at 5 p.m., and the Phoenix follows in a game against Youngstown State (7:30 p.m.). Green Bay just played Youngstown State in the second to last regular season game. The two teams met in Youngstown, Ohio and the Phoenix throttled the Penguins 73-27. YSU made just 6 of 40 field goals in that contest. Green Bay is expecting a stiffer challenge from the 4th seeded Penguins in Friday’s semifinals. 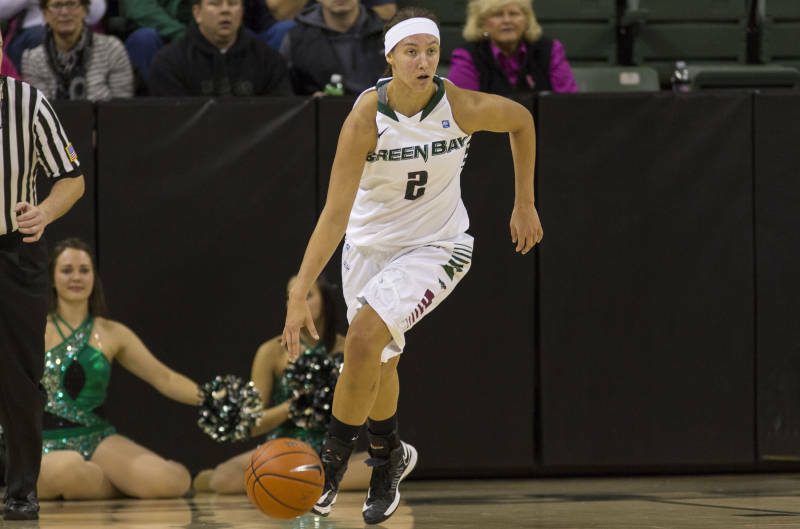 The Green Bay Phoenix women’s team landed three players on the All-Horizon League Second-Team today. Tesha Buck, Megan Lukan and Mehryn Kraker were each recognized by the Horizon League today. Lukan also landed a spot on the All-Defensive Team for the second straight season. The Phoenix failed to land a player on the All-Horizon League first-team for the second straight season, despite finishing 25-4 overall and winning the league title by a whopping three games with a 15-1 HL record. Green Bay Phoenix women’s coach Kevin Borseth shoots for win number-600 in his career, as his Green Bay Phoenix women’s basketball team hosts Valparaiso on Thursday night at the Kress Center. 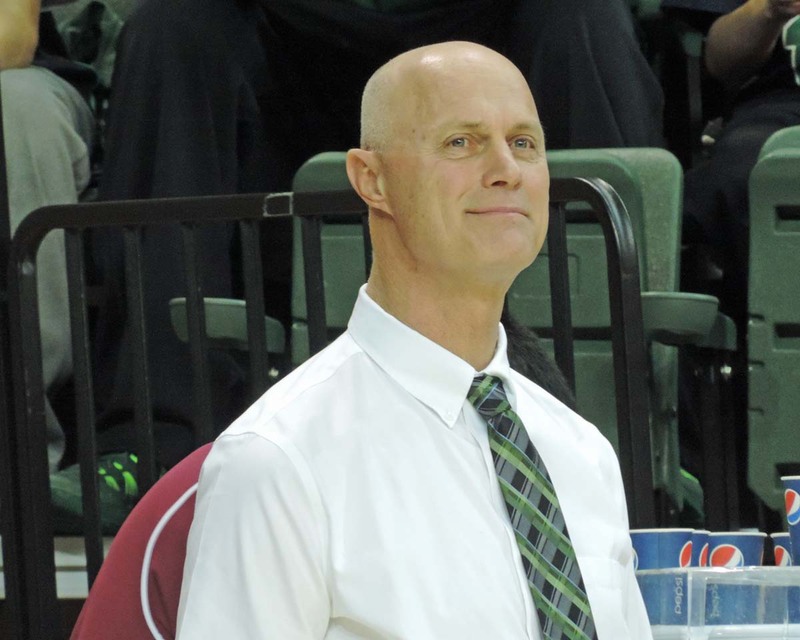 Green Bay (20-4, 10-1 Horizon League) is enjoying a three-game winning streak following its first conference setback of the season. Following a 79-62 win over in-state rival UW-Milwaukee, the Phoenix holds a two-game lead in the Horizon League, plus they own the tie-breaker over Wright State, having swept the two-game regular season series over the Raiders. 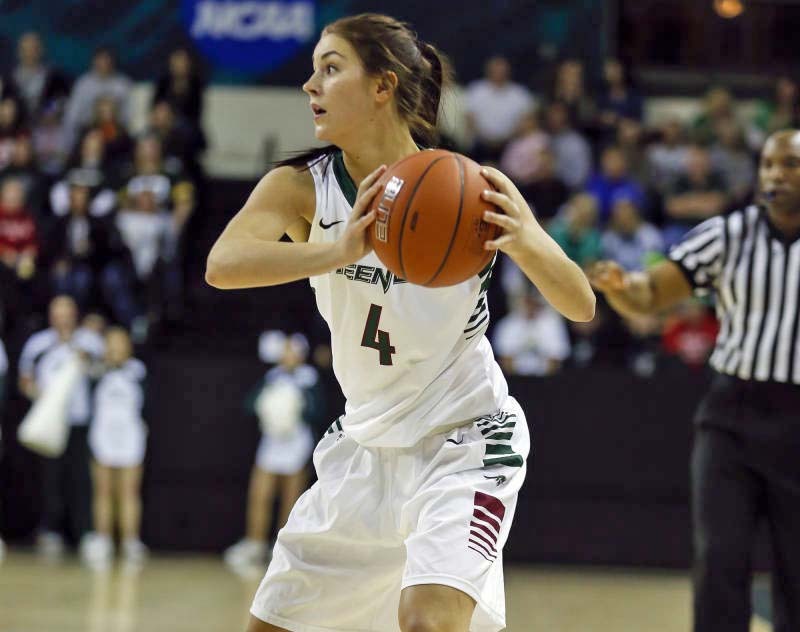 The Green Bay Phoenix women’s basketball team completed a sweep of their two-game regular season series against Wright State, beating the Raiders 61-45 last night at the Kress Events Center in Green Bay. The win leaves Green Bay (19-4, 9-1 Horizon League) in the driver’s seat for their 17th straight Horizon League title. They’re up 2-full games on Wright State in the Horizon League, plus they own the tie-breaker. Green Bay’s stellar defense held Wright State standout Tay’ler Mingo to just 10 points and the Raiders to a season low in points scored. 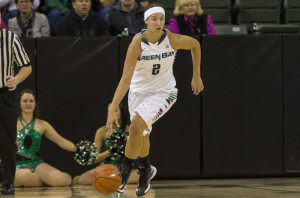 Green Bay’s Tesha Buck had 15 points, 12 rebounds and 6 assists to lead three players in double figures. Mehren Kraker added 14 points, reaching double figures for the seventh straight game. Sam Terry added 11 points, hitting three 3-pointers. Green Bay never trailed in this game and they held down a Wright State team that averaged 98.3 points in its last three games. The Raiders came into the game averaging 79.6 points a game for the season. The Phoenix hit the road to face the Milwaukee Panthers on Saturday at 2 p.m. Horizon League Freshman of the Week. It’s the second time Kraker was named freshman of the week after the opening weekend of the season on Nov. 11. Green Bay has now taken home freshman of the week five times, with Tesha Buck earning the other three. Kraker averaged 23.0 points, 5.5 rebounds, 2.0 assists and 1.5 steals in 30.5 minutes of action. She also shot a combined 65.2% (15-23) from the field, including 61.1% (11-18) from three. On the season, Kraker is averaging 8.2 points and 3.3 rebounds a game, while shooting a team best 38% from three-point range. Green Bay returns to action tonight against Valparaiso at the Kress Center (7pm).